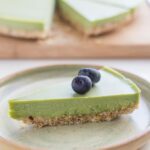 This amazing Raw Matcha Cheesecake that I am sharing with you today is from Jules Galloway’s signature program, Shiny Healthy You – Fatigued to Fabulous in 12 Weeks. This cheesecake is gluten, dairy and refined sugar free and is suitable for both paleo and vegan lifestyles. 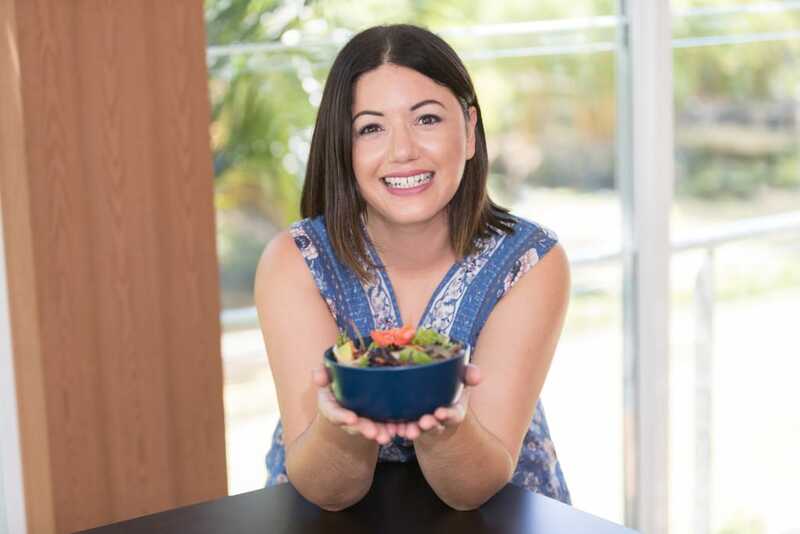 The recipe is quite easy to make and will be a hit with your family and friends. In a food processor with an “S” blade, process the almonds and desiccated coconut together until it reaches a fine breadcrumb-like consistency. Add the dates and process a little more. If the mixture is not coming together, add 1-2 teaspoons of water and process until the mixture starts to become sticky. You can test this by pressing the mix against the side of the food processor bowl. Press the mixture firmly into the bottom of a 22cm springform tin. Using the back of a dessert spoon, smooth it down until it’s nice and even. In a high speed blender (or food processor), blend the coconut cream, honey, cashews and coconut oil until silky smooth. Add the matcha powder and blend again briefly until combined. Pour into the springform tin, cover and freeze for 2 hours or until set. Remove from freezer for 15-20 minutes prior to eating. Sorry, this recipe isn’t vegan because of the honey.